The Ship Safe Training Group has provided a specialised recruitment and training service to trainee officers and shipping companies in the British Merchant Navy for 40 years. Following a career path in the British Merchant Navy provides an interesting range of career choices and a varied lifestyle. Find out all about the opportunities available to you. The SSTG has been providing a recruitment and training service for UK shipping companies for 40 years. We also provide sponsorship for cadets whilst training at college and at sea. The British Merchant Navy provides rewarding careers within a dynamic and demanding industry that operates an extremely diverse fleet of advanced vessels all across the globe. Working aboard ship as a Deck Officer involves a wide range of responsibilities including navigation, cargo operations, vessel stability and safety providing you with good career progression opportunities. A career as an Engineer Officer brings responsibility for the safe and efficient operation of the main engine and the ship’s ancillary mechanical systems, with an exciting career path. 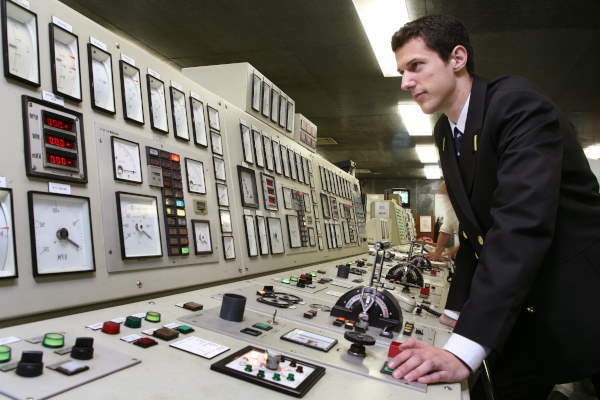 An Electro-Technical Officer is responsible for the effective operation of highly advanced electronic control systems on a wide range of vessels with a good choice of career options.